The main opposition party in Equatorial Guinea has been dissolved by a court that also jailed 21 of its activists for more than 30 years, state media reported on Tuesday. 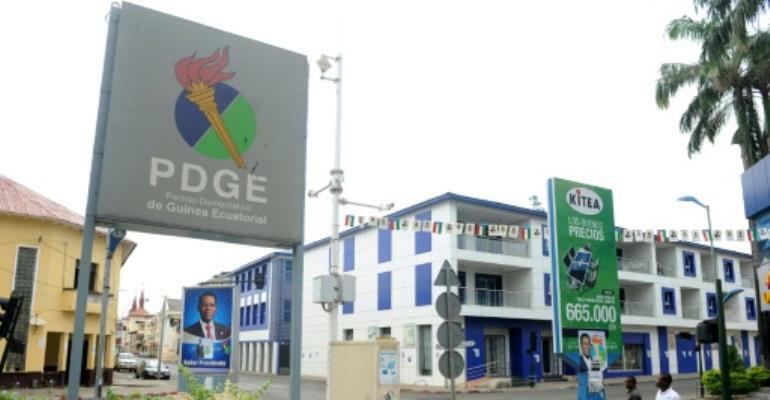 The Citizens for Innovation (CI) party will be "withdrawn (from) the register of political parties in the country", the presiding judge at the court in Mongomo, Jose Rafael Nguema, said on TVGE state television. 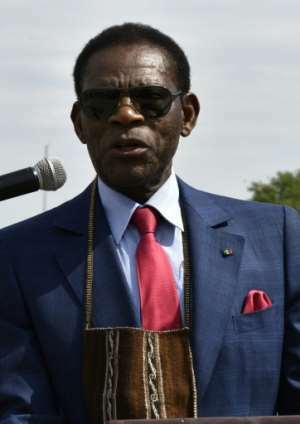 The rulings were made Monday during the trial of 147 CI activists accused of "rebellion" in the small, oil-rich central African nation, ruled by unbending strongman President Teodoro Obiang Nguema since he seized power in 1979. "The dissolution is the consequence of (...) undermining state security, because according to the law governing political parties, any party that commits this offence is dissolved," deputy chief prosecutor Anatalio Nzang said on TVGE. In an election last November, the CI won the only parliamentary seat that was not taken by Obiang's ruling Democratic Party of Equatorial Guinea (PDGE), which claimed 99 of 100 seats. The trial was linked to scuffles that occurred a week before the vote, when police tried to stop a CI rally in Aconibe, hometown of party leader Gabriel Nse Obiang Obono. Three police officers were hurt and their weapons -- three AK-47 assault rifles and a pistol -- were seized. Since the vote, "restrictions on freedom and arrests, particularly of political opposition figures, have ceaselessly continued," according to European Union observers. The 147 CI activists have been on trial since mid-February in Mongomo, Obiang's hometown and fiefdom in the continental part of the former Spanish colony, which also includes Bioko island to the northwest in the Gulf of Guinea. "In the name of the head of state, first magistrate of the nation," the court convicted 21 members of the group and ordered them to serve "26 years in prison for sedition, 10 years in prison for undermining authority (with) a fine of 50,000 CFA francs (76 euros / $94) to be paid by each one, four years in prison for damage and four months for physical injury," according to state television. Prosecutors had sought the death penalty, according to CI members and their lawyer, but the state denied this, citing a moratorium on capital punishment in force "for about 15 years", though courts have still handed down death sentences. The court ordered the release of the other activists in the dock. The convicted men were also "condemned with their CI party to pay 138 million CFA francs (210,000 euros / $259,000) to the state", according to the television report. This is "an astronomical sum in the context of the miserable wages paid in Equatorial Guinea," a foreign diplomat in the region commented. Since the discovery of considerable oil reserves in 1996, Obiang has come to preside over one of the main oil exporters in sub-Saharan Africa, but most of the 1.2 million inhabitants still live in poverty.